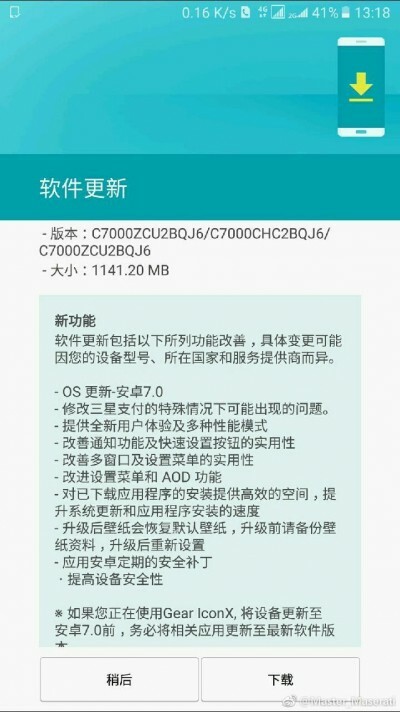 Android 7.0 just started seeding to the device and an early adopter was kind enough to share a screenshot detailing its changelog. 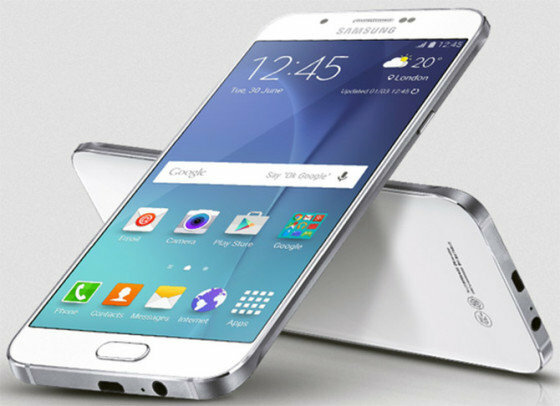 The update is 1142 MB in size and brings new Samsung Experience and its various features. Improvements include Always-On Display, Multi-window, and the Settings menu. Apps on the Galaxy C7 will install faster and will be more power-efficient once the Nougat update is installed. A new security patch is also part of it. Samsung kindly reminds all Gear IconX users to check if related apps are compatible with the upgrade and of course to make a back-up in case something happens.